A variety of topics were covered at Asia CanTech 2012. Alec Peachey reports from Bangkok. 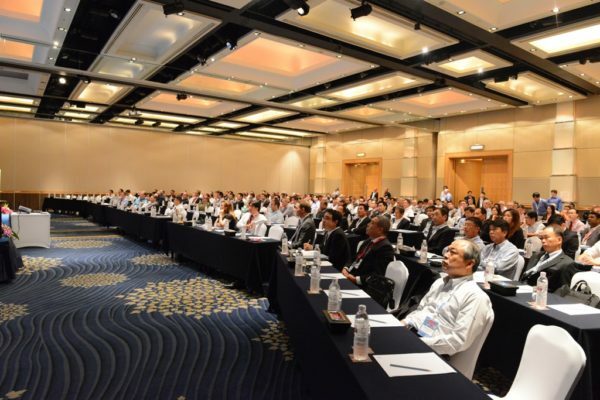 New technology was at the forefront of this year’s Asia CanTech conference. It was also interesting to note the increasing amount of investment in the region – one that continues to offer can makers and suppliers a host of opportunities. This year’s event returned to the Royal Orchid Sheraton Hotel and Towers in Bangkok and took place from 29-31 October. A total of 26 presentations took place over two days while the tabletop exhibition gave suppliers the chance to showcase their products over all three days. Keynote speaker Takao Nakai, executive director of Japanese can maker Toyo Seikan Kaisha, opened proceedings with a presentation entitled ‘Evolutions of the aTULC system’. Nakai talked about how mature and developing markets both require innovative, inexpensive and sustainable packaging. aTULC (Aluminium Toyo Ultimate Can) is a polyester-laminated aluminium can based on the TULC concept and is characterised by its high functionality and low environmental impact. aTULC is manufactured by the direct coating of an aluminium sheet with molten resin. This system, eliminating the need for the usual film making process, was co-developed with Toyo Kohan, an affiliated company of Toyo Seikan. It was first commercialised in 2001 in Japan. In 2008 the first aTULC can was produced in Thailand. The com- pany started selling aTULC cans in China in 2010. Toyo Seikan Kaisha completed the acquisition of can making machinery supplier Stolle Machinery last year. “This acquistion was made with one key word in mind: innovation. In order to propel the whole industry to a new level Toyo Seikan is sharing its dry forming technology with Stolle. In the future Stolle will be able to provide the machin- ery for aTULC. The company’s mission is to contribute to the happiness and prosperity of mankind through packaging technology. We believe that by offering our aTULC system to any beverage can maker in the world this is one way we will accomplish this mission,” Nakai concluded. The second keynote speaker was Gregor Spengler, secretary general of Aerobal, the International Organisation of Aluminium Aerosol Container Manufacturers. He described how the aerosol market has experienced huge growth, in his presentation entitled ‘Growth and sus- tainability in the aluminium aerosol can industry’. “From 2006 to 2011 there has been volume growth of 4.8 billion cans up to 6.6 billion cans. This is an average growth rate of 7.5 per cent. The aluminium share in total world aerosol can production is 46 per cent. “The predominant market of aluminium aerosol cans is the cosmetic market. Seventy six per cent of aluminium aerosol cans are delivered to this market.” Spengler discussed the evolution of aerosol fillings in different parts of the world. He noted that in Europe the share of tinplate and aluminium is more or less equal but in North America the predominant material used in the production of aerosols is tinplate with a share of 78 per cent. Amongst the supplier presentations was Amir Novini, presi- dent and CEO of Applied Vision, who talked about new vision inspection concepts and practices for modern can manufacturing. One of the new modern concepts developed by Applied Vision is its Cyclops inspection system. Cyclops combines imaging, lighting and processing in one com- pact enclosure, eliminating the need to run multiple cam- eras on a single processor. The machine can be placed almost anywhere on a line, alerting operators of potential defects as early as possible in the manufacturing process. Patrick Geffers from Stork Prints Austria stressed the importance of a good looking can during his presen- tation entitled ‘Filmless prepress: The digital strategy for the two-piece can industry’. The company is a technology leader in direct laser engraving. This single step ‘laser’ process is a purely digital means of printing form imaging. It eliminates costly products like film and time-consuming processes such as exposure, washing and drying, the company says. Andrew Kum from Valspar, one of the largest global coatings manufacturers in the world, gave a presenta- tion entitled ‘Meeting the ever evolving market requirements in food coating’. “Metal cans are safe,” he exclaimed. “They are recyclable and environmentally responsible, made from raw materials that are readily available, and provide a long shelf life without losing nutritional benefits. Kum backed up his claims by reciting some statistics from the Centers for Disease Control and Prevention (CDC). “According to the CDC, 48 million Americans fall ill and 3,000 die every year from food-borne diseases. Food-borne illnesses cost Americans $77.7 billion annually. The durable structure and air-tight seal on cans offers the most robust protection against food-borne illnesses. Furthermore, the canning process itself kills off bacteria and other harmful agents, ensuring safe and nutritious food for the consumer. Michael Marschall from Schuler revealed that the company has opened a new service office in Sriracha, Thailand. Customers in Thailand will be able to enjoy Schuler’s expert on- site support. The team’s service programme in Thailand ranges from technical services to performance enhancements, used machines and training. During his presentation entitled ‘D&I systems for bottle can production and advanced cupping systems’ Marschall outlined the key features of a number of Schuler’s products. These included the SAK Blankmaster Line, the Icon V-Drive and cupping press. Ivan Delgado from TG Can International introduced the company’s new cupping press – the CM2000. The company specialises in producing and supplying quality high-precision systems and tooling for can and end makers around the world. Key features of the CM2000 include: Top speed of 300 strokes per minute; low capital cost; reduced die-set changeover time; direct drive to crankshaft; hydraulic clutch and brake; simplified maintenance; critical element monitoring system built in. “We believe this is a cupping press for the 21st century,” Delgado told attendees. In a technical presentation, Jack Knight from INX International, talked about cost savings in metal decorating. He discussed the Pantone Matching System, or PMS, an internationally recognised standardised colour-matching system that is owned by the Xrite Corporation. Knight got the audience to participate in various colour blind tests. You can read more about his presentation on page 39. Simon Jennings, owner and advisor of Nomis Consultancy, talked about drivers and trends in the beverage packaging industry and opportunities in Asia. “According to Pira, the global packaging market is worth US$395 billion. Metal packaging has about a 15 per cent share of the market. Expectations for growth going forward, acording to Pira, are that the plastics sector will grow the fastest, followed by glass. Unfortunately metal packaging is a low growth sector,” Jennings explained. An example of a company that started to package its products in PET is Campbell Soup. “They drove this change to try and get soup to grow,” Jennings added. “What’s actually happened is people started to buy it and subsequently started to buy more cans. It ended up growing the can market as well as the plastics market. Keynote speaker Craig Jones, director of Rexam’s new AMEA division, got things underway on day two of the conference. The title of his presentation was ‘Global strength through local collaboration’. Jones, who has previously worked in Jakarta, Indonesia, revealed that he will be based in Dubai from January next year. independent supply source. We see Asia as offering attractive growth rates. Beverage can suppliers are already investing to meet those demands and Rexam will be part of that investment. Tony Lacey, the new owner of OKL Can Line, talked about his plans to take the company in a different direction. His presentation was entitled ‘OKL – the next 30 years’. The company is a supplier of equipment to the beverage can industry. Lacey, who has been a two-piece can plant manager at four locations, can count Rexam and Crown as past employers. He said: “I’m from the customer side of the business and have bought products from OKL. I understand what you (can makers) have to do to perform daily in your busi- ness. We have the experience, resources and the ability to produce the highest quality bodymakers on the face of the planet. OKL has been known as a very good rebuilder of bodymakers. Today we’re moving into an OEM (original equipment manufacturer) direction. The future is now. We have what I consider is an unfair competitive edge – being privately held. We plan to stay that way because it gives me the freedom to make decisions without pressure of the market from an investment standpoint. All decisions about investment come directly from us. We’re going to move from a good to great company by doing three simple things: Quality, service and delivery. At OKL we have a simple philosophy. Two strong words are ‘I can’. Two stronger words are ‘We can’. The can is our passion.” Mario Werner, sales manager at IST Metz, talked about UV solutions for metal decoarting. The company’s newest UV system offered to can makers is its BLK-6. The BLK-6 is a newly developed UV system, designed to meet application requirements in rotary printing. When compared to convention- al UV systems, extraordinary progress has been made in drying performance without any increase in UV lamp out- put. This means greater productivity with reduced operating costs, Werner explained. Shu An, from Suzhou Slac Precision Equipment, described a variety of equipment during his presentation entitled ‘Total solution for cans and ends making.’ The company is mainly engaged in the easy open ends (EOE) manufacturing technology for the metal packaging industry. Shu An was taking part in a joint presentation with Mike Calahan from Integrated Packaging Solutions (IPS). IPS is an international consulting company that specialises in the can making industry. It provides metal packaging manufacturers with engineering and operational improve- ment services. IPS turns technical advancements into business opportunities by providing production efficiency improvements and operational cost reduction programmes. The company is working together with Slac on a project which has seen them facilitate the sale of a two-piece can line – Caniel Beverage Can – located in Israel to a new Chinese can maker. Proving that a variety of subjects are covered during Asia CanTech, Christian Bretzing from Kartonfabrik, discussed layer pads for the canning industry. 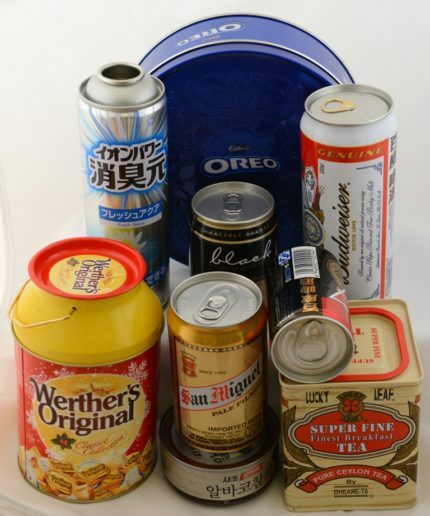 The company offers layer pads, which are used to seperate and stack products, including cans. Kartonfabrik’s DQ-board features special character- isitics like higher bending stiffness and higher water absorbance. Asia CanTech will move to a new destination next year – Jakarta in Indonesia. The country has a growing economy and offers a good platform for new business. One message from this year’s Asia CanTech is that innovation is key, but it can also be said that change is good. To view a full list of presentations from 2012 see page 19. 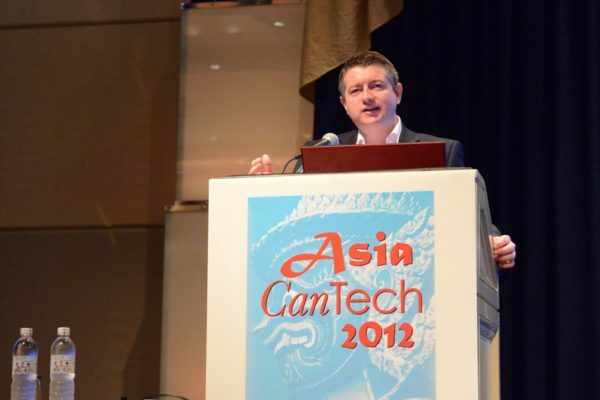 Anyone interested in receiving any of the presentations from Asia CanTech 2012 should contact Katrine Kjoeller at katrine@asia-can.com.